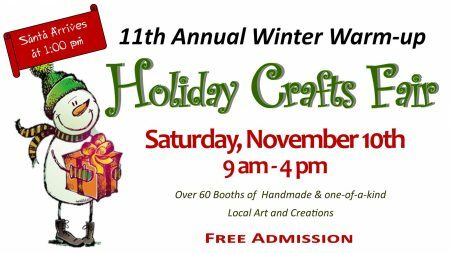 Key Peninsula Civic Center announces its 11th Annual Winter Warm-up Holiday Crafts Fair at the Key Peninsula Civic Center, November 10, 2018 from 9 am – 4 pm. The 11th Annual Winter Warm-up Holiday Crafts Fair is just around the corner. 50 booths of handmade crafts and art will fill the Civic Center on Saturday, November 10th. Come get an early start on your holiday shopping while enjoying music from Vaughn Elementary Choirs, the Bluegrass Minstrels, and the KPMS Jazz Band. Santa and Mrs. Claus will make their arrival around 1 pm. As always – food and treats will be available throughout the day. 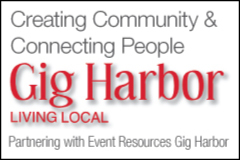 Don’t miss this season-opener at the Key Peninsula Civic Center. ADMISSION IS FREE TO ALL! All proceeds benefit the Key Peninsula Civic Center. The Key Peninsula Civic Center Association through its facility and the effort of its members, fosters and promotes the civic, social cultural and general well-being of the Key Peninsula community.